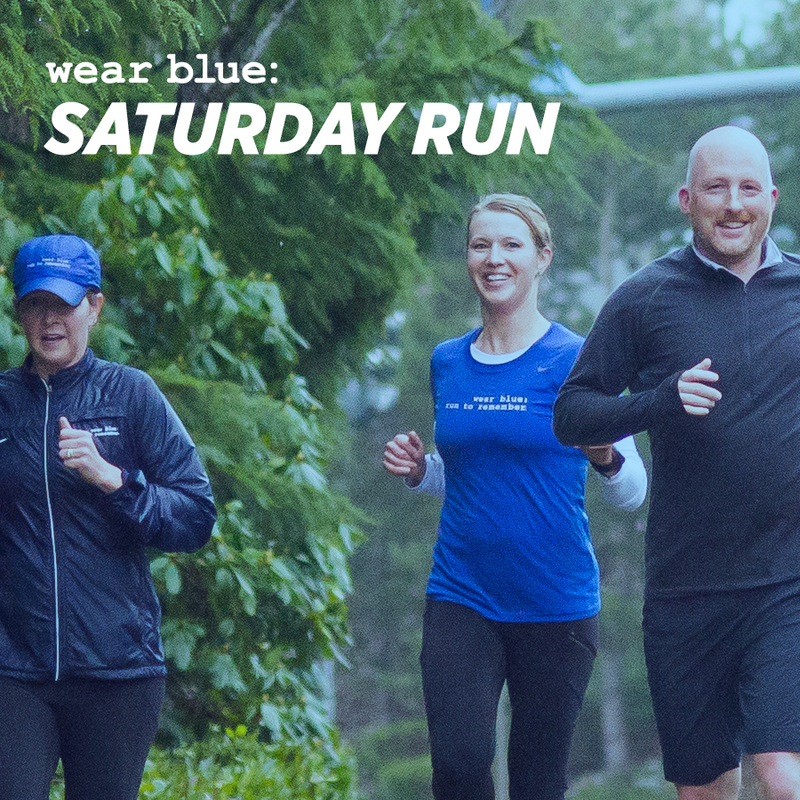 The cornerstone to achieving wear blue’s mission is the Saturday Run, hosted by our Saturday Run Communities. This weekly event is facilitated by wear blue volunteers and typically occurs on Saturday mornings. The runs are open and free to all. Find a Community near you. On designated race days, wear blue Mile volunteers line a mile of the course holding American flags with names of fallen service members embroidered onto attached ribbons. Posters with the name and image of each fallen military member line the stretch leading up to the flags. If you’d like to participate, simply look for the “wear blue mile volunteer” option under the “Race Participation” dropdown of some of our race signup forms. The wear blue Gold Star Youth Mentorship Program is a community impact program benefitting children of fallen service members. wear blue: run to remember in partnership with Big Brothers - Big Sisters is dedicated to providing each registered Gold Star child a military mentor. This mentor will provide his or her youth a glimpse into the life of service that defined his or her fallen parent, while participating in the life affirming action of running. This positive relationship and living memorial will promote continued healing and growth. The program currently operates for families in the Joint Base Lewis McChord region in Washington state, with plans for expansion in 2019. On Memorial Day, wear blue: run to remember produces a national memorial event. Partnering with local non-profits, we encourage runners and walkers across the nation to commit to run or walk miles in honor of our fallen service members. Runners can join their local chapters, organize a meet-up, or run individually. wear blue: run to remember’s For the Fighting Program actively shows our service men and women that their service is not forgotten nor taken for granted. 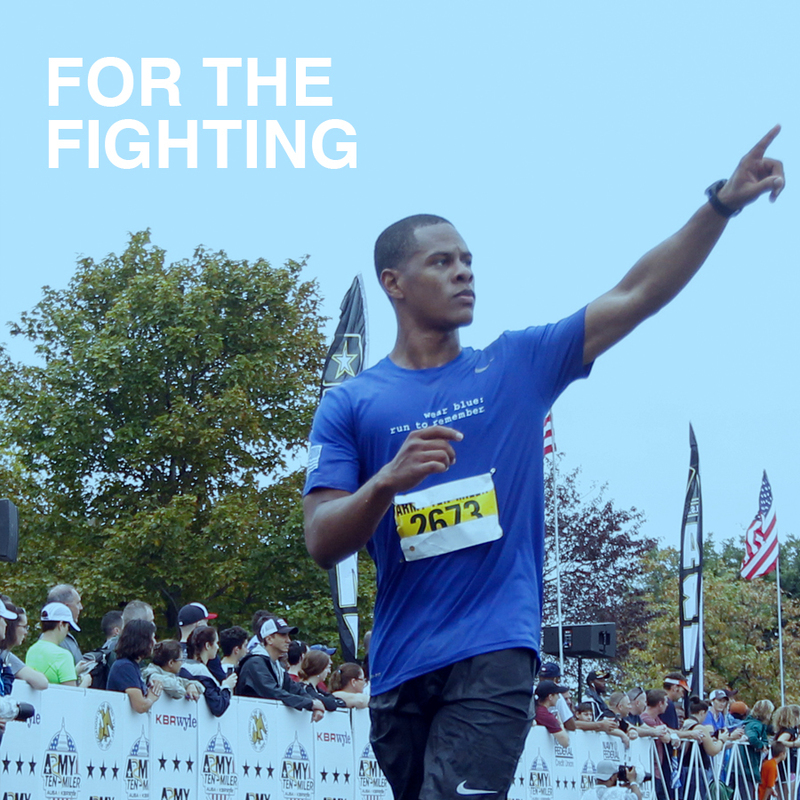 The program solicits nominations from military organizations across the country for E5 and below service members with recent deployment experience to participate in an endurance event as part of the wear blue community. wear blue provides an official training plan, race entry, transportation, lodging, a small stipend, and the mentorship of a senior military leader. It’s a memorable weekend for the participants and showcases that we, the American people, are thankful for their continued service.